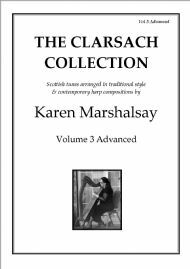 Welcome to Marsharp Music, an Edinburgh-based publisher of music for both gut- and wire-strung harps, run by harper Karen Marshalsay. A digital package of score, glossary of techniques used, and mp3 recordings of the individual parts, the entire piece, and helpful comments and hints. Written for large, four-octave wire-strung harp. Two books by acclaimed harper Bill Taylor are now available to buy online. 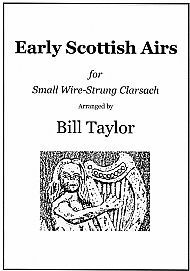 One is a collection of Early Scottish Airs arranged for wire-strung clarsach and the other is aimed at new players with small gut-strung harps. 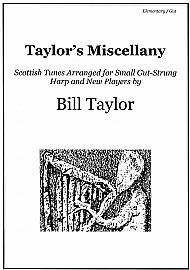 Recordings are now available for both of Bill Taylor's books plus Key Techniques for Harp, First Steps and The Clarsach Collection Vol 1. These are mp3 files, designed to help students learn the material in these books. 100 exercises, studes & tunes. 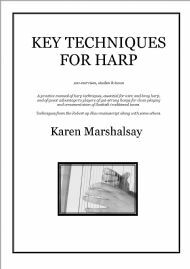 A practice manual of harp techniques, essential for wire and bray harp, and of great advantage to players of gut-strung harps for clean playing and ornamentation of Scottish traditional tunes. Techniques from the Robert ap Huw manuscript along with some others. Previously known under the working title of The Wire 100. The level of this book is grades 7-8 to diploma. Tunes are arranged in sets where appropriate, ornamention is written in and some fingerings are given along with notes on the tunes. 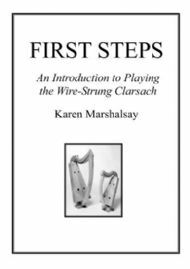 This book is aimed at beginners and those with some experience (on any type of harp) and provides an introduction to the techniques involved in playing on wire strings. The essential characteristic of wire harps is their long resonance but it also means that certain notes have to be damped out and this concept needs to be thought about right from the start. First Steps contains traditional tunes, from both the Gaelic and Scots traditions, tunes composed by Karen, studies and exercises along with information about the music. 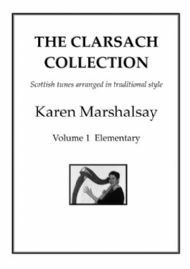 This book is for gut-strung clarsach and is aimed at elementary level players, who might be working with a teacher or learning on their own, and are interested in Scottish tunes played in traditional style. The level is about Grades 1-3. Fingerings are given, ornamentation is notated, and there is information on the tunes and the way they are played. 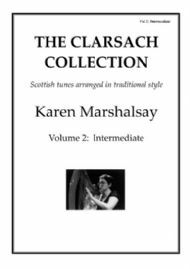 This second volume in the series is aimed at intermediate level players, who might be working with a teacher or on their own, and are interested in playing Scottish tunes in traditional style. 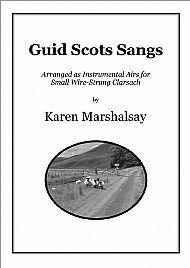 The level of pieces are about Grades 4-6, and various tune types are included: slow airs, strathspeys, reels, jigs and marches. Some are old and somea are quite new, having been written by Karen herself, notably the set from her Distil composition Thomas the Rhymer.